Everything is bigger in Texas – including the packs of beer. A small brewery in Austin, Texas came up with the idea to put 99 cans of beer in one case. 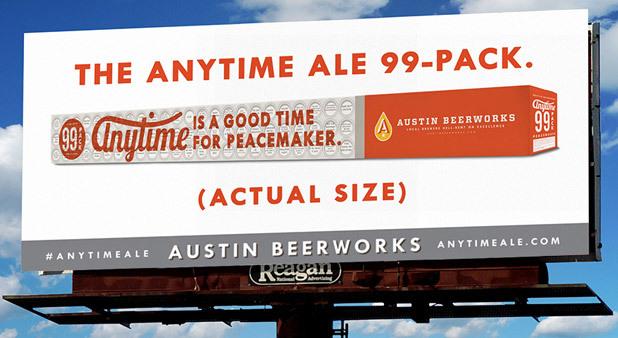 The case of ‘Peacemaker’ Ale is seven-feet long, weighs 82 pounds and costs 99 dollars. Austin Beer Works made only twenty of the large cases. They went on sale last week and sold out the first day! Since demand is huge, the brewery plans to make another run of 99-packs soon.